We've all experienced tilt, whether it was through losing a big pot or the rush of "running like God." On the surface, it seems strictly emotional. However, if we break it down and learn why we experience such emotional responses, maybe we can determine and apply alternative solutions to help eliminate or avoid tilt. Dr. Tricia helps us to do just this! We have all heard time and again how important it is not to let tilt — that state of playing less well because of an emotional response to losing a hand or suffering a downswing — negatively affect our decision-making. While that is good advice to follow, I’d like to go a step further by explaining a bit about how you can make psychology work for you in your effort to minimize or avoid tilt altogether. I’m going to explain a quick process to you that, with a bit of practice, will allow you to start taking control of your tilt problems right now. In other words, every behavior we choose is based on the belief that doing so will help us to meet one or more of these basic needs. When we feel powerless, for example, we can choose to behave in many ways to try to satisfy that need for power. Some of our choices will be helpful, and some not so much! Tilt is an example of a choice that often does not meet our needs and, paradoxically, it even hurts us. This begs the question: why do we choose to tilt and why don’t we choose something effective instead? Dr. William Glasser is the originator of both choice theory and reality therapy, and he argues that we make poor decisions because we are unaware that we can (and should) take personal control of ourselves. Sometimes we have mistaken beliefs about what will get us what we want, and making poor choices based off mistaken beliefs is what gets us into trouble. When we decide to play poker, we are voluntarily putting ourselves in many spots where we have little to no control over the outcomes. Glasser contends that the only thing we can actually control is our own reactions and behaviors — but we have to train ourselves to do that. 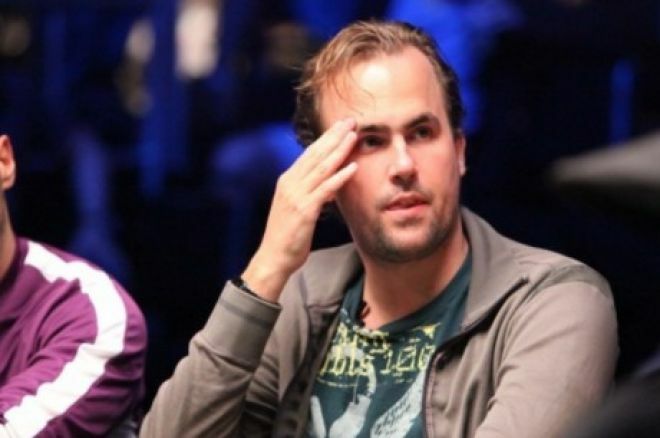 Most often our immediate natural reaction to a bad beat is to go on tilt and spew off chips. Likewise, some people tighten up too much when they make a mistake at the table and miss tons of value. Regardless of how your tilt manifests itself, the goal of reality therapy is to teach you a step-by-step process that you can use to choose better behaviors quickly and efficiently. What do you really want to have happen in this situation? Is what you are doing likely to get you what you want? What is something you can do to achieve what you want? If you realize you don’t have to give in to your impulses, you can stop the tilt monster in its tracks! There is no better feeling than staying in control after a bad beat and coming back to win. By training yourself to take actions that are commensurate with your goals, you give yourself the best shot at staying in the game.